Hey you guys! I hope you all are having a great start to 2019! I have made a few resolutions this year and have also set some goals for my blog. So be sure to stay tuned for some fun projects I have planned! I wanted to start out the year with some more informative blog posts instead of just projects. So today I am going to share with you how to add new free fonts to your Cricut Design Space which you can then cut or draw with on your Cricut! There are some beautiful / cute / fun (whatever you are looking for!) fonts out there - so be sure to explore! Use these fonts to print out vinyl labels to use on all of your 2019 storage plans - or use them for any other projects you may have in mind. I typically use dafont.com to search for my free fonts. They group them by category, so you can search through any type you’d like. I like to look at the Script - Calligraphy and Script - Handwritten groups. One of my current favorite fonts is called Sugar & Spice. It kind of has a handwritten vibe. See it below! Step Two: Now you will want to click on the “download” button towards the right of the screen. Step Three: Once you click download (I was on a PC) it should download however your browser typically downloads items. In Firefox, there is a blue arrow at the top of the browser that shows whether something is downloaded. Click on that arrow and open the folder which now contains the font file on your computer. Step Four: Once you click open that folder and see that font “demo” file, you want to double click on that file to open it. Step Five: Now that this is open, click on the “Install” button that shows up in that “demo” file. Step Six: It will now install on your computer! Yay! 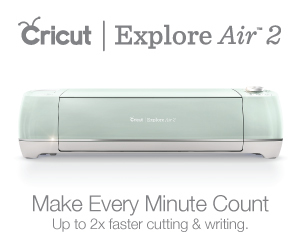 Step Seven: Now that the font is downloaded, you will want to go to your Cricut Design Space. 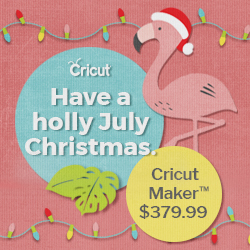 Click the add text button, and then within the font area, you will want to select a system font, not a Cricut font. Search for the font you just downloaded, and you should see it! Note that even thought the preview may not show the font as you imagine it should be, but once you actually type within Design Space, it will show the correct font :) Now get crafting! Below is a picture of some craft tins I made for art supplies using the Sugar & Spice font! Cheers to 2019 and Happy Crafting!